I used to live a pretty isolated life. 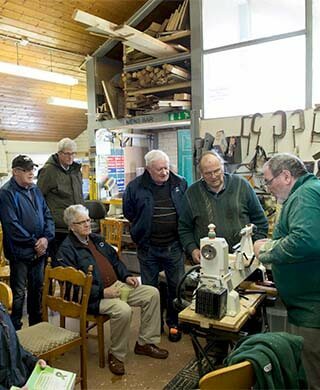 I’m not saying that my past was a straight line to Men’s Shed in Ireland but it definitely played a big part in my empathy for those who needed our services. I was an only child of a farming family and in my mid 20’s I ended up being a farmer too. I never wanted to be a farmer. It was just the obvious choice. The area was nice, really quiet, not much happening at all. So, I partied too much, I got into drink and drugs and it was very bad for my health. Farming was like that for me. I felt unhappy and isolated all the time. I badly needed something to change and I guess when I turned 27, I was in the right place then. I had developed so many issues that I had no other choice but to make the first step. I went back to education and I changed my job. I knew I wanted to be around people and helping them in some way, so I got a job working in community development and education. Everyone knows that men have poorer health outcomes. We are more likely to suffer from addiction, be unemployed, depressed and more likely to die by suicide. But we’re still less likely to talk about our problems and seek help. I wanted to change this. My main focus was always to get men involved but after a few years of constantly trying and without any significant success, I heard of an Australian guy and his programme called ‘Men’s Sheds’. At that stage, I was sick of the challenges involved in setting up community and education projects for men. The lack of interest, the lack of funding, and all the red tape made it impossible to develop new ideas. I got in touch with Professor Barry Golding, the original founder in Australia, and I was inspired straight away. It was a very simple, but effective idea which needed almost no funding at all. This was around the time of the recession as well, so there were tens of thousands of men who suddenly became unemployed. Men’s Sheds seemed like a perfect fit. It wasn’t only for guys who were unemployed, depressed or lonely. That would never work. It was for guys who have a bit of time and a few skills to create something great for their community, and be able to have some fun and make new connections at the same time. Our view is that men don’t talk face to face, they talk shoulder to shoulder. We give them the opportunity to work on something practical and while they do that, they are more likely to chat and more likely to bring up topics that they need to talk about. If they are feeling comfortable enough they can take up programmes too, like healthy cooking classes, wellness workshops or Pilates. It’s a genius idea at every level, and over six years on, I still firmly believe in it. The project gave me so many great memories and I’ve heard countless lovely stories, but the one that is closest to my heart is from my own home place. It’s interesting how things come full circle in life. Now there are over four hundred Sheds around the country and one’s opened up close to our farm. Just beside the place where my great-grandfather had his blacksmithing workshop. Back in the day, it used to be the place where men came together to discuss everyday things. Today, it’s serving the same purpose in a different setting, which makes me very proud. 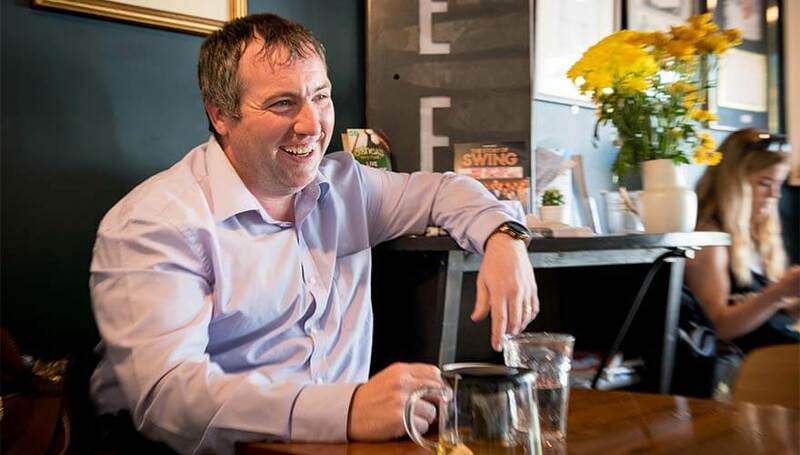 John Evoy is Founder of Men’s Sheds Ireland but has since stepped away from day to day operations. 1966 was the 50th anniversary of the 1916 Rising. De Valera was president. Nelson’s Pillar was blown up. In the same year the Bishop of Clonfert protested about a guest on The Late Late Show who told host Gay Byrne that she hadn't worn a nightie on her wedding night. ‘66 also saw the opening of Ireland’s first shopping centre, in Stillorgan, south county Dublin. For generations of Southsiders – and especially their children - Stillorgan Shopping Centre was a place of magic, glamour and excitement. It gave us a glimpse of the USA: a wonderland of airy spaces and covered walkways arranged around a capacious car park.